Easy installation. DIY the camera position and free you from complex wiring. 300ft Wireless Range. 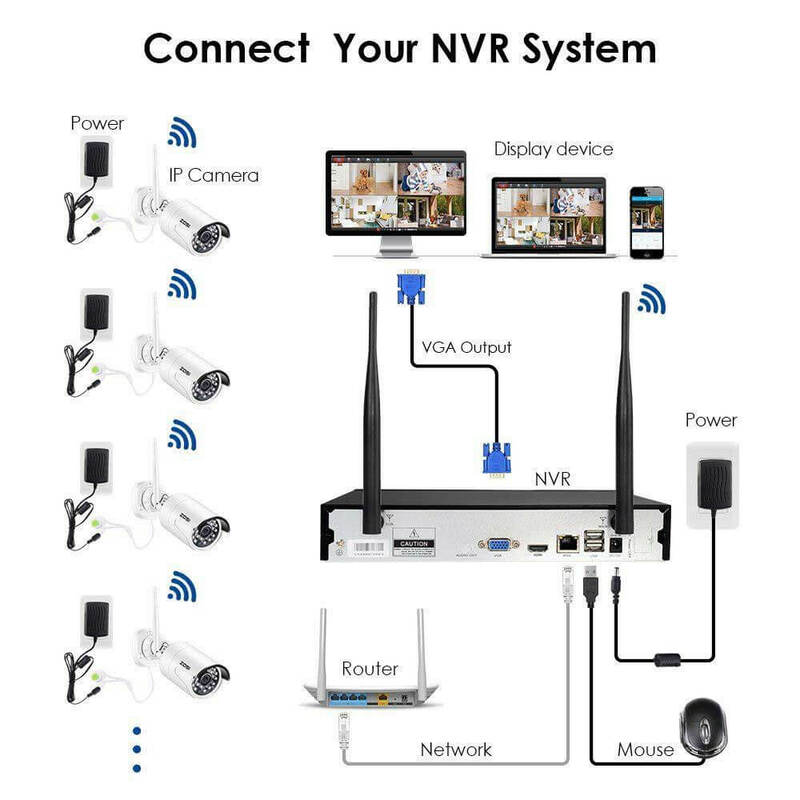 This Wireless Security NVR has its own independent wireless network with 300ft wireless range. Repeater Feature. The camera that out of signal range can run through a camera in range, thereby improving the signal. Easy Remote Access. Get remote view with our FREE ZOSI App by simply connecting the wireless NVR to a router.